A longtime math teacher has filed a lawsuit against the school district alleging officials discriminated against him and placed him in the infamous rubber room, according to documents filed in court in late September. 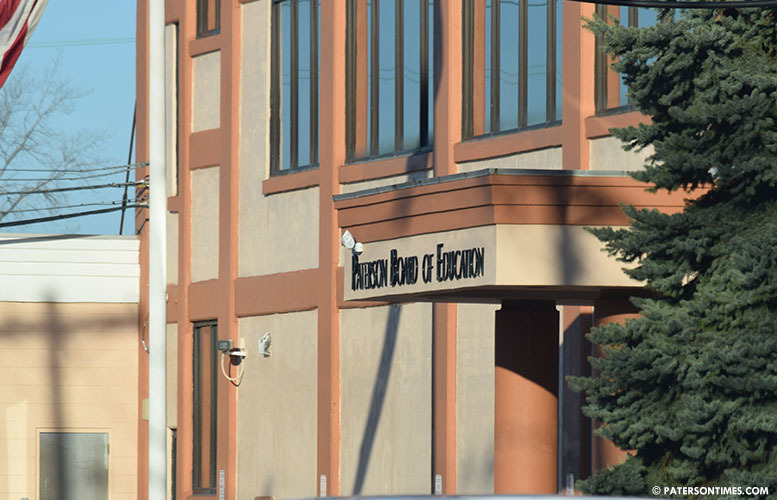 Bryant Sampson, a sixth-grade math teacher at the Don Bosco Elementary School, was assigned to the rubber room on Dec. 21, 2017, according to the lawsuit. His lawsuit says the assignment followed an incident in the crowded school cafeteria, where he bumped into school administrator Mark Romei. A video of the incident shows Sampson “simply brushing against another individual who had stopped short in front of” him, according to the lawsuit. His lawsuit says James Smith, head of security at the district, began investigating the cafeteria incident. For seven months, Sampson reported to the rubber room. He “suffered severe mental and emotional distress, ridicule, torment, anxiety, humiliation and embarrassment” from being assigned to the rubber room,” says the lawsuit. After the abolition of the rubber room in late August, the district placed him on suspension with pay. Nine months later, Smith is still investigating the incident, says the lawsuit. The lawsuit alleges the district is violating its own policy that calls for investigations to be completed in 30 days. Paul Brubaker, spokesman for the Paterson Public Schools, declined to comment on the pending lawsuit on Tuesday afternoon. Sampson, who lives in Elizabeth, has been a teacher in the district for 15 years, according payroll records. He has received “consistently positive” evaluations over the years, according to the lawsuit. The lawsuit is seeking more than $250,000 in damages. Nunnermacker previously sued the district for former district teacher Noreen Sweeney over her two-year long assignment to the rubber room. Sweeney received $200,000 to settle the case. The district had been slow in paying the settlement. Nunnermacker on Tuesday said the payment issue has been fully resolved. There are cameras everywhere. I notice these kind of retaliations only occur to older teachers on top of the pay scale. The district always settles out of court except in the Sweeney case because they do not want their dirty laundry aired to the public.